$69.95 In stock. Order in the next 13 hours, 39 minutes and it will go out today! Imagine performing the classic effect, Sands of the Desert with colorful liquids! An original effect that is visual, easy to do and makes a big impact on your audiences. Click on the video to see this perplexing, audience-pleasing routine. You show an empty bucket, and three bottles with three different, colored liquids and three empty, transparent cups. Use sodas, juices, or energizer drinks—you choose! Anything bright and colorful. You pour each liquid, one at a time, into the bucket -- perhaps blue, yellow and finally red. Next, you swirl the bucket around, mixing all of the liquids into a magical cocktail. Then the magic happens as you take one of the empty plastic cups, dip it into the bucket—and when you lift it out, it’s filled with a blue drink! 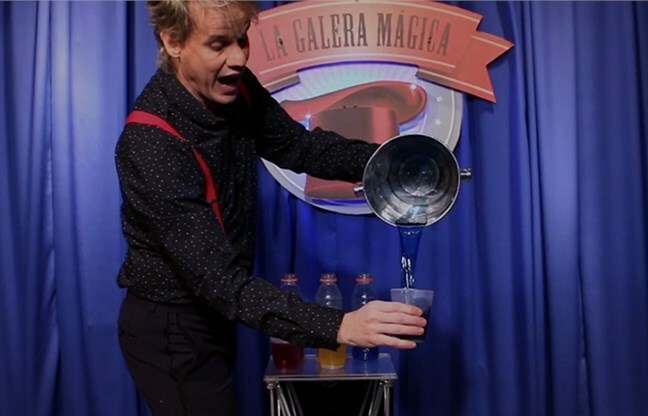 Take another cup and repeat this puzzling act of prestidigitation... as you extract a yellow drink. Finally, you tip the bucket so your audience can see inside it, as you pour the remaining red liquid, filling the third cup. 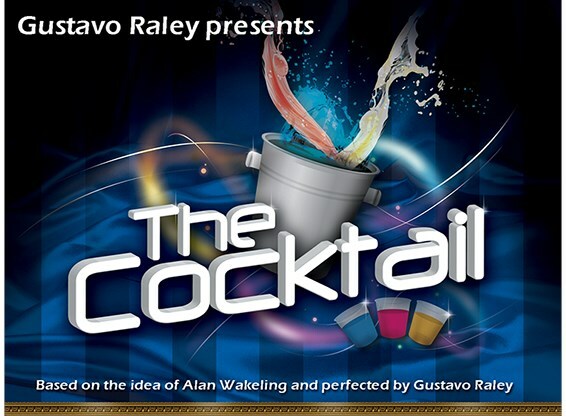 The Cocktail is based on a clever idea by Alan Wakeling and perfected by professional magician Gustavo Raley. 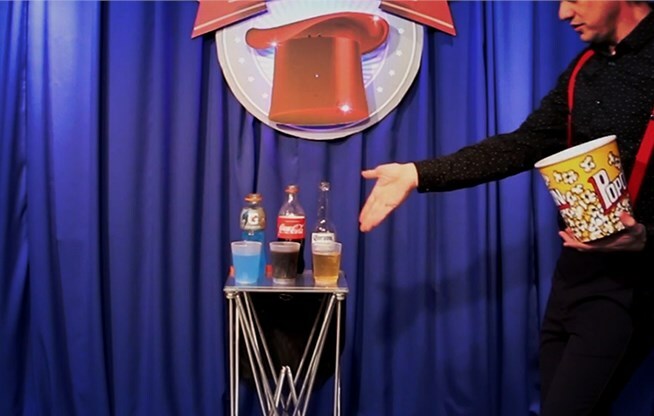 The Cocktail is an original, colorful routine that is decidedly different, can be performed to music or with patter, and works as well in a nightclub setting as it does at a school or library show for family audiences. 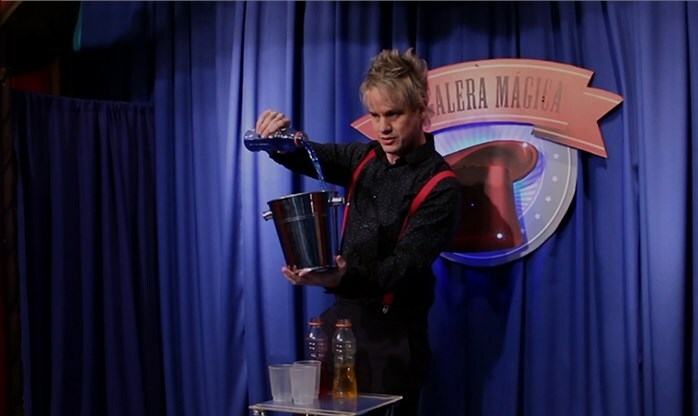 If you are looking for an original effect that is highly visual, practical and 100% effective for your magic show, we know you’ll be pleased performing The Cocktail. Glenn asks: Is this simply a DVD that I am getting here? 1. Vanishing Inc. Magic responds: You can only show it empty after pouring the final drink. David asks: What do I get for $69.00? Any "props" or just a DVD? Looks like a great routine. 1. Vanishing Inc. Magic responds: You get the gimmicked glass set and the explanation. You need to supply your own metal wine pail. Tom asks: Can the performer or an audience member take a drink from one of the glasses at the end of the effect? Not seeking exposure or method, so I understand if this cannot be answered. Thank you. 1. 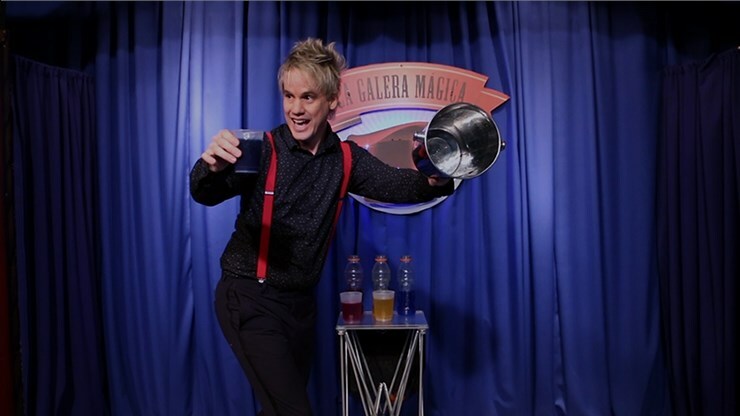 Vanishing Inc. Magic responds: Yes, the performer, or an audience member, can take a drink from the glasses. I have always wanted to have a "Sands of the Dessert" type routine in my repertoire, but the trick IS messy and you're on the hook for refills (which may become unavailable) for life. The Cocktail preserves the effect with less mess (your hands don't get wet) and no refills. 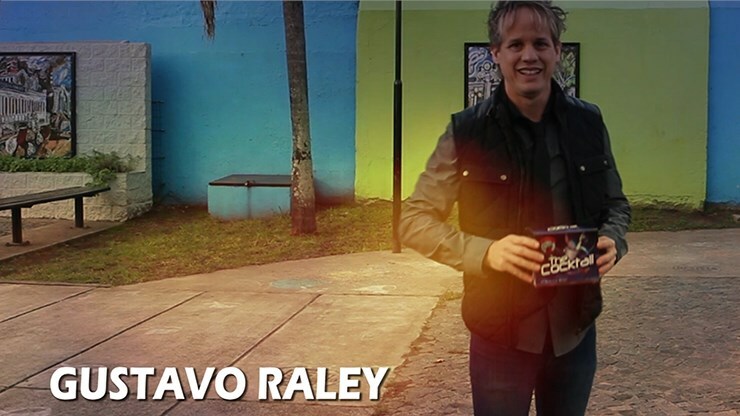 The instructional video (included on CD, for a nice change) offers two presentations. In my opinion, one of the two is more effective and the other more versatile in that it can be performed in more settings. The problem with the "better" of the two presentations is nearly unavoidable, tell-tale noise, enough to need significant cover — music or a couple of timely sneezes perhaps. That said this is a winner and the kind of thing your audience doesn't see every day.